Even though millions of adults have medical insurance today, a survey taken, as a part of the Urban Institute’s Health Reform Monitoring project in 2015, found that one out of five insured adults cannot afford dental care. This dilemma may be due to lack of dental insurance or because dental coverage is often minimal, and the type of treatment needed by many adults is expensive in nature. However, if you’re an adult who needs dental treatment but can’t afford the out-of-pocket expense, a dental discount plan is an affordable, non-insurance option that can save you money, as well as your dental health. Most adults consider themselves past the cavity-prone years, but according to the Centers for Disease Control and Prevention, 27 percent of adults in the U.S. between the ages of 20 and 64 have untreated tooth decay, and almost half of the population over age 30 has some form of gum disease. Dental complications contribute to the loss of more than 164 million hours of work each year, and result in costly treatments. Here are some of the dental health challenges facing adults as they age. Many adults take medications or have health conditions, such as diabetes, autoimmune diseases, cancer, HIV, or alcoholism that dry the mouth, putting them at risk for tooth decay and gum disease. After 8 to 10 years, dental fillings may need to be replaced. If a large portion the tooth has broken down due to recurrent decay, the only solution may be a full crown to stabilize the tooth, and root canal treatment is also required when the nerves of the tooth have been affected. When teeth are lost due to decay or gum disease, replacements with bridges, implants, or dentures are crucial — not just for a pretty smile — but for eating, speaking, and keeping other teeth from shifting. Adults frequently suffer from facial pain associated with temporomandibular joint disorder (TMJD). If TMJD is the result of a bite irregularity, orthodontic treatment or the replacement of missing teeth can be the solution. And if grinding or clenching your teeth is the culprit, usually wearing a bite guard at night will alleviate the pain. Typically, dental insurance plans not only have deductibles that you must meet before any benefits are paid, there are usually waiting periods for major services and yearly maximum payouts only in the range of $1000 to 1500 per family member. In addition to limited benefits, orthodontic treatment may be restricted to dependent children or not covered at all. And all plans exclude benefits for cosmetic services, such as tooth whitening and porcelain veneers. So, even if you have dental insurance, you may not be able to afford the portion of your treatment not covered by your plan. Dental discount plans have a low monthly membership fee, making them an inexpensive alternative or addition to traditional dental insurance. But the real advantage is — when you see a participating dentist, you’ll save up to 50% on all dental services, including orthodontic and cosmetic treatment. 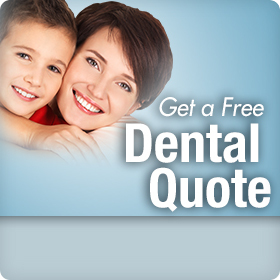 Missing teeth can be replaced right away because there are no waiting periods. And with no deductibles or yearly maximums to limit the amount of affordable treatment done within a calendar year, you can schedule the dental care you need sooner rather than later. If you have been letting your dental health slip because you can’t afford to go to the dentist, it’s time to take action. Click on the right to access a Confident® dental discount plan through Careington® and a list of participating dentists in your area.